Mantis is my favorite character. Mr. Hong’s surprise is the Blue Ray DVD is coming out of Kung Fu Panda 2. Mr. Ping is my favorite. Hard worker and wise. The surprise for the children is a Blu-Ray + DVD + Digital Edition combo version of Kung Fu Panda 2. “What surprise does Mr. Hong have for the children in the video?” Kung Fu Panda 2 in blu-ray, dvd, and digital copy formats. His surprise was a Kung Fu Panda 2 Blu Ray/Dvd! The surprise Mr. Hong has for the children in the video is that Kung Fu Panda 2 is being released on Blu-ray featuring Dolby Digital Copy. My favorite Kung Fu Panda character is Mr. Ping. My favorite Kung Fu Panda character is Po the Panda. is a copy of Kung Fu Panda 2 on blu-ray! Pulls out a copy of Kung Fu Panda 2 Blu-Ray. Kung Fu Panda 2 Blu-Ray with Dolby is the surprise. He gave the children copies of the new Kung Fu Panda 2 on Blu-Ray. Kung Fu Panda 2 in Blue ray thru HD. :D Love it!! The Kung Fu Panda 2 on Blu-ray featuring Dolby TrueHD 7.1. Dolby TrueHD! Blu-ray featuring Dolby TrueHD 7.1. with digital copy. The surprise is Kung Fu Panda 2 on BlueRay. 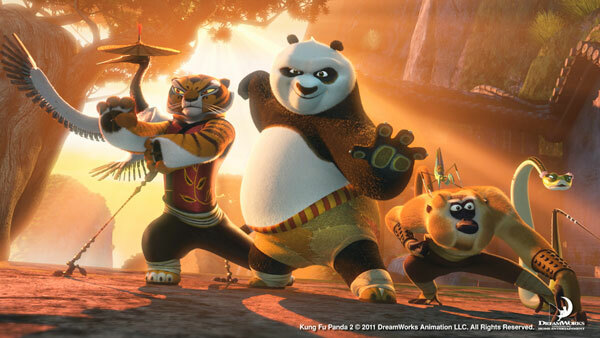 Kung Fu Panda 2 is available on Blu-Ray + DVD Combo. The surprise is a Kung Fu Panda 2 Blue Ray with Dolby Sound! Panda is my Fav…but all the characters are excellent. Tigress is my favorite character, She is strong and stands up for what she believes is right. A good role model for young girls. He gives them a copy of KUNG FU PANDA. He has the Kung Fu Pand 2 dvd/blu ray video for them. Kung Fu Panda 2 in blue ray/my favorite is PO! I love Po’s Dad! He can run a restaurant and raise a Panda!! I would say Po, but I love them all. Po of course! Jack Black is perfect for the voice.